A native of Boone, N.C., Lee earned degrees in archaeology and ancient history at Brown University and Boston University, and received a Ph.D. in Near Eastern languages and civilizations from Yale University. She served as our AmeriCorps Communications associate from 2015-16, and as our Communications Associate from 2016-2017. The U.S. Environmental Protection Agency estimates that the new power plant rules would result in more pollution and up to 1,400 more premature deaths each year by 2030. A recent study shows that black lung disease in Appalachian coal miners is at a 25-year high — but federal taxes on coal companies that help compensate affected miners are set to expire next year. In May, the North Carolina Supreme Court upheld a Duke Energy-backed ruling that nonprofit group NC WARN violated the law by installing solar panels on and selling power to a Greensboro church. The Kentucky legislature declined to pass a bill that would have allowed the state and potentially utilities to set new rate structures that could have threatened the expansion of residential solar. The Tennessee Valley Authority has proposed a revised rate structure that would increase fixed costs to consumers and potentially make it more difficult to install residential rooftop solar panels. 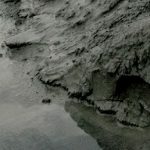 The Environmental Protection Agency proposed rolling back federal regulations on how utilities store coal ash, a toxic byproduct from coal-fired power plants. The North Carolina Utilities Commission allowed Duke Energy subsidiary Duke Energy Progress to raise its customers’ utility bills in part to pay for state-mandated coal ash cleanup.